Every now and then I’d come across a recipe from labels of canned goods or jars or boxes which I’d find interesting and worth a try. 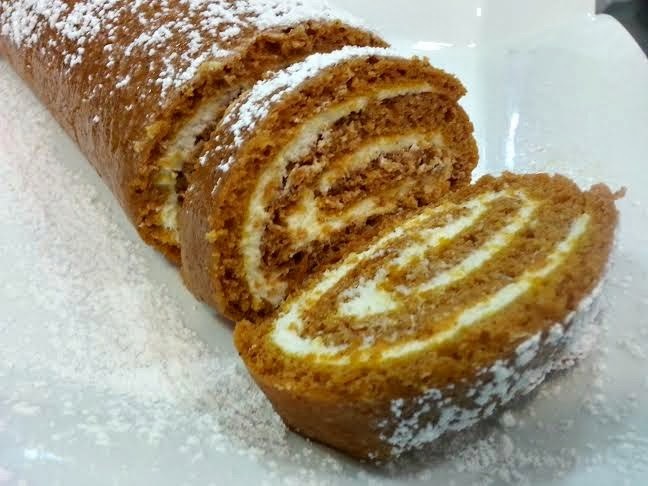 Such is the case in this pumpkin cake roll which I tried for our Thanksgiving pot luck. It was so good and with just a few tweaks prompted me to do an encore of for our own Thanksgiving dinner. Sadly though, I didn’t take pictures of then, so you might have noticed the absence of my Thanksgiving post. I did take some pictures with my phone but not all of them came out nice. 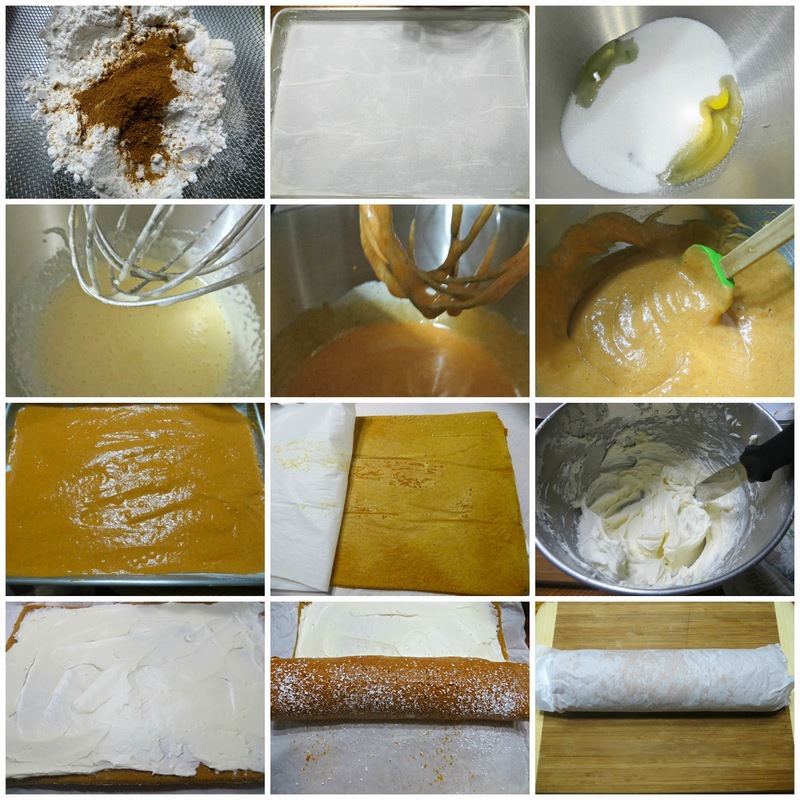 Anyway, here’s how I made my pumpkin cake rolls. So easy but really tasty! COMBINE flour, baking powder, baking soda and pumpkin spice in small bowl. Beat eggs and granulated sugar in large mixer bowl until thick. Beat in pumpkin. Stir in flour mixture. Spread evenly into prepared pan. BEAT cream cheese, 1 cup powdered sugar, butter and vanilla extract in small mixer bowl until smooth. 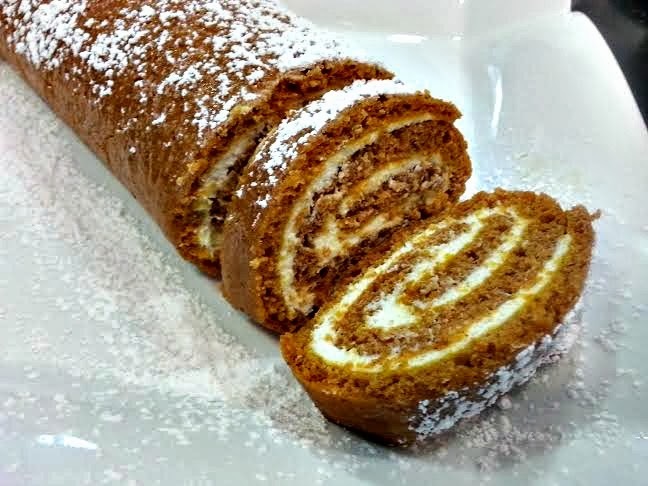 Carefully unroll cake and spread cream cheese mixture evenly over cake. Re-roll cake and wrap in plastic wrap. Refrigerate at least one hour. Sprinkle with powdered sugar before serving, if desired. 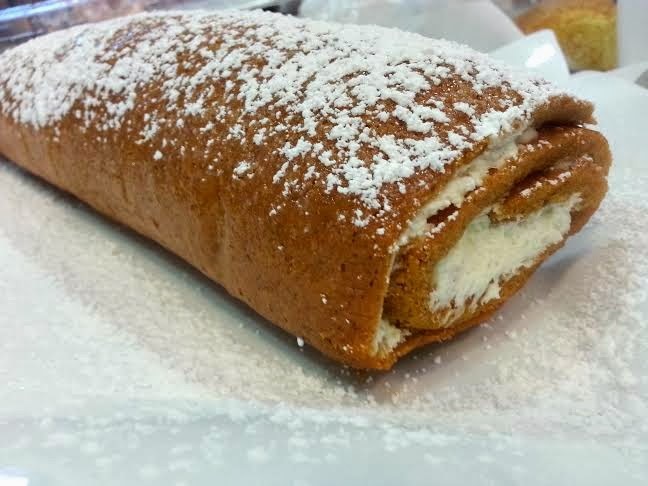 Be sure to put enough powdered sugar on the towel or parchment paper when rolling up the cake so it will not stick.